A foreseen turn in an any artist’s return to the limelight is to delight and possibly surprise with a shift in sound and image. Building upon Rockferry’s sound, Endlessly hardly equals its predecessor. In its best case scenario, it is barely a satisfactory collection of songs that may please a handful of die hard fans. But for an artist who is yet to prove her credibility Endlessly is a real disappointment. Remotely reminiscent of her debut, the record flows in a wimpy direction, leaving the nasal songstress we have learned to love quite annoying to listen to. The record runs the musical veneer with a handful of broken-hearted ballads, a cheeky, seductive number or two, and some body shaking beats. Having said that, the album lacks the substance and bite that was anticipated. This especially rings true given Rockferry’s re-release with more than a handful of new material, that was impressive. Tracks worth exploring on the album are “Hard for the Heart” and “Endlessly,” the album’s title. Club Monaco’s Fall 2 Lookbook collection is stirring to say the least. Extending beyond black and white, textures meld with biscuit like hues presenting a collection that is loosened up, casual and comfortable. The music used to illustrate the collection is Wise Blood’s “STRT SRNS,” a repetitious and infectious swirl of unassuming sound. Washed, recycled beats in a distant tropical haze, present a perfect symbiosis of sight and sound. Wise Blood is Chris Laufman, a Pittsburgh transplant originally from Texas. His voice is usually the only originally consistent component in his music. In spirit of Thanksgiving and an occasion to mark my new move, I hosted an intimate, delicious dinner for a couple of friends who were staying in the city during the holiday. The motivating force behind the event came to be when I read about Chef Sara Jenkins’s Purée Of Chestnut Soup in New York Magazine. In a special, featuring celebrity chef takes on family recipes that nod to the November holiday, Sara Jenkins’s entry seemed to perfectly embody the fall season. Chestnuts and cream, a delightful flavor that would be locked on the tongue of my brain. 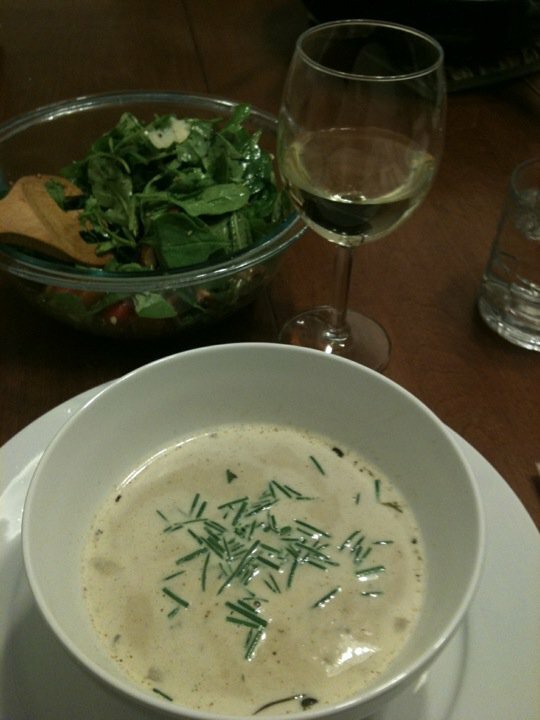 The result was a restaurant quality soup full of flavored architecture: nutty, creamy and fragrant. In a heavy saucepan, melt the butter and oil, and add the onion, rosemary, and a pinch of salt. Cook gently over medium heat for about 5 minutes until the onion is translucent. Add the chicken stock and chestnuts, bring to a simmer, and cook gently for about 30 minutes until the chestnuts are tender. Purée the soup in a blender until smooth. Add the cream, and simmer gently for 10 minutes, allowing the cream to blend into the mixture. Season to taste with salt, garnish with freshly chopped chives. Not only did Gap retaliate from its putrid new logomark, the clothing chain these days seems to be working twice as hard prove its worth. The opening of the new Milan store is christened with a Valentino collaboration, a collection of utalitarian pieces gone sophisticated. In other words, think iconic Valentino ruffles across standard pieces like outerwear and pants. The collection, interestingly is exclusive to Europe. Paris and London are due to have their fill as early as of next week. Suprisingly, the collaboaration although hardly unique in color (military green is all over this season), has resulted in a metamorphisis that could signal a significant shift in Gap’s look and feel. Past collaborations have maintained a clean, and casual standard, synonomous with the Gap aesthetic. As a collection, Gap X Valentino looks like it could be Zara or Amsterdam’s Scotch and Soda.This is a good thing, Gap hasn’t done something this exciting in a very long time. This gorgeous bag by J.Crew is made of a hefty twilled cotton making it a great piece that brings texture and function to your ensemble. 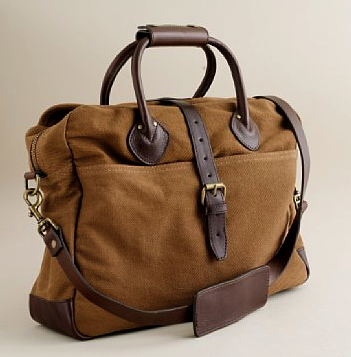 With a rich amber tone and strong leather trimmings, it marries briefcase and messenger into one. It’s also the perfect size—big enough for a laptop but also perfectly suitable to lug to the office, stuffed with a newspaper, your lunch and other miscellanea. 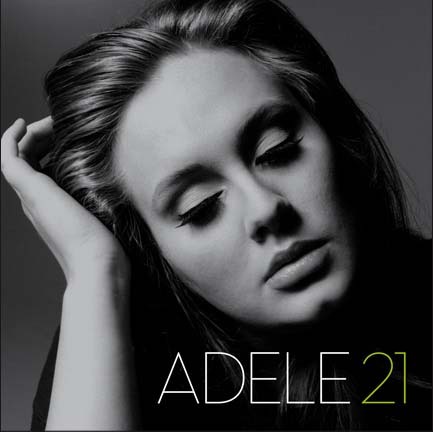 Exceeding expectations, Adele fans will be ecstatic with the release of “Rolling in the Deep”. Oozing with a dark riff, blues, funk and lots of soul, the track is “Cold Shoulder’s” stormy sister, with measured gusto and sophistication. This could’ve ushered a phenomenal Amy Winehouse’s comeback or be something that Gnarles Barkley could have easily penned. Regardless, it’s 120% Adele and it’s her best work to date. After spending less than a week in my new apartment on the UWS, I finally managed to try out Pizza By LaGrolla. 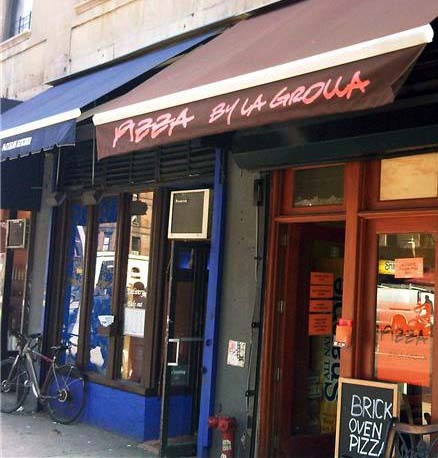 Previously, I had passed by the unassuming, diminutive pizzeria and was always curious about its offerings. If anything, for a small, hole in the wall, the establishment’s boldly orange colored quadrilateral for a logo, made for a solid graphic effort that captured my attention. At a snapshot, the space had an intimate, warm vibe with patrons buzzing around pizza, exchanging flavor critiques with a plump, mustached man who stood behind his gallery of creations. We opted for the artisinal, the Zuca Blue: a hearty crust with a golden butternut squash mash, slathered amongst sauteed onions and Gorgonzola. The result was an unexpected, edible embodiment of fall. Other highlights were the Affucmicata. A smoldering canvas of eggplant, smoked mozzarella, Parmegiano and tomato sauce. The smoked mozzarella and eggplant resulted in the most meaty of flavors, reminiscent of salumi. What struck most at LaGrolla was their ability to craft delicious pizza that wasn’t thin crust. If I’m not mistaken, this isn’t your place for classic New York pizza. However, if artisinal and unconventional is your bet then definitely give this place a try. LaGrolla also offers panini, pasta and espresso.